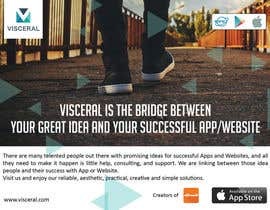 (Visceral) is a new company that does consulting, and development for Apps, Websites, & Design. 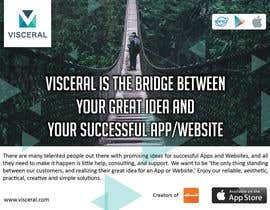 We believe there are many people out there with promising ideas for successful Apps and Websites, and all they need to make it happen is our help, consulting, and support. We see ourselves as technology artists. 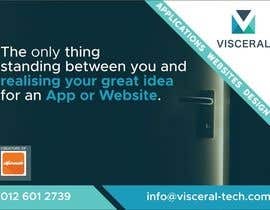 All our solutions must be reliable, aesthetic, practical, creative and simple. 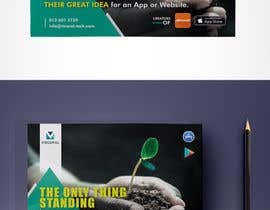 Please design an advert that will appear in a print magazine (300 ppi, 16.5 by 12 cm). I’ve attached a guideline design, but feel free to think outside the box.